This is the second official tie-in novel to the hugely successful God of War series of video games, set in the rich and thrilling world of Greek mythology. 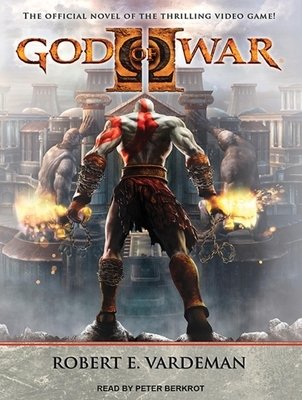 In this sequel, Kratos, the game's protagonist, is a great warrior who seeks revenge on the gods of Olympus after repeated betrayals. On his journey to Olympus, Kratos must battle great monsters of legend-and fight his own inner demons. Robert E. Vardeman is the author of more than fifty fantasy and science fiction novels, including the Mechwarrior: Dark Age series, the Demon Crown Trilogy, the Cenotaph Road series, and the Star Trek novel "Mutiny on the Enterprise."